5G radio broadcasts : What is the future? Posted on October 12, 2017 by Ashik in Dairy, DXing, Radio World | Comments Off on 5G radio broadcasts : What is the future? 5G radio broadcasts : What is the future? Interesting article that I found in WorldDAB Eureka. Is it Mobile network will be more expensive for internet radio? Or it is a propaganda from the DAB Group. Let’s read the feature to discover more on 5G the future for radio. Please note 5G radio broadcasts : What is the future? is nothing from my side, only from WorldDAB Eureka. 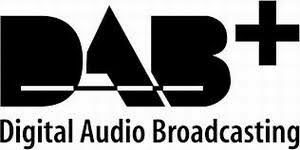 Visit WorldDAB Eureka to learn more.